Presentations of BLACK SEA WATCH project “Black Sea Marine Environment Research With Public Participation” products are continuing. In the past week thanks to kind invitation by Prosveta Community Centre, Varna we were guests to children of local eco-club. We have presented both BLACKSEAWATCH.ORG website and mobile app BLACKSEAWATCH. The features and functions of the modern tools turning us into amateur scientists of Black Sea biodiversity were thoroughly demonstrated. In the follow up discussion, the children impressed us with their good knowledge on problems related to conservation of the Black Sea ecosystem and threats posed by overfishing for it and the fish stock in the basin. Our program continued with visit to Dimitar Talev secondary school at Dobrich where we were well surprised by modern system for managing access and security in the school and modern technical means used in the learning process – interactive board and modules. The room became small for the high number of interested schoolchildren from the higher grades that attended the presentation. In line with the modern trends in the school was presentation of contemporary tools for participation of citizens in collecting data on Black Sea biodiversity - mobile app BLACKSEAWATCH and BLACKSEAWATCH.ORG website. 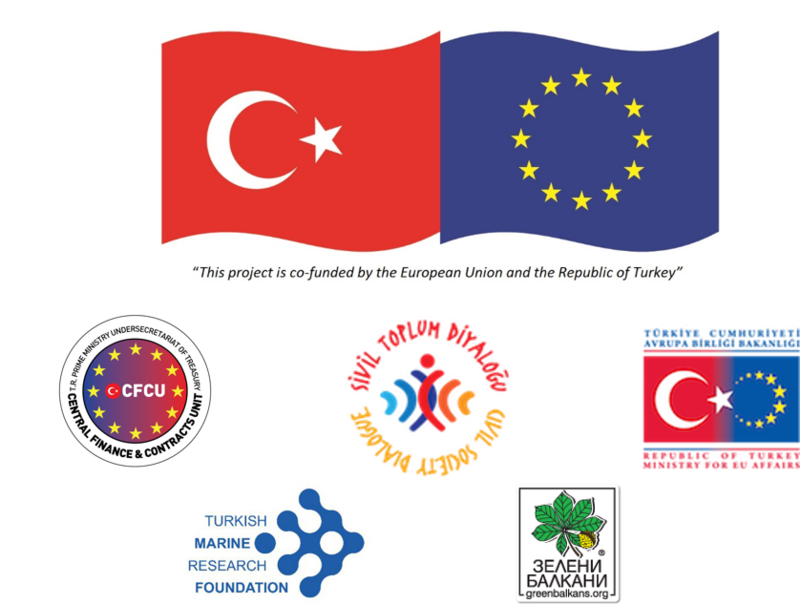 The project is co-funded by the European Union and Republic of Turkey (within the framework of the Civil Society Dialogue between EU and Turkey-IV Programme Environment).